LVC Cost Counter reveals the true costs of training activities if real vehicles, fuel, munitions, etc were used instead of simulated entities. 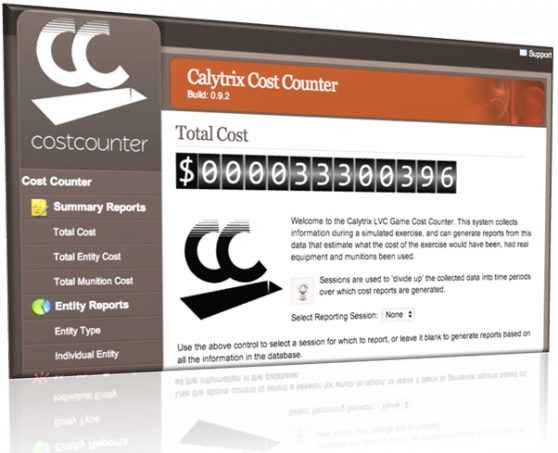 In real time, Cost Counter monitors the simulation network, searches its user-defined costing models whenever simulation events occur, updates running totals in various cost categories, and displays the real-time results in a browser. Cost Counter also produces output reports and exports data to spreadsheets for further analysis.